Here we have replaced a front elevation roof slope and pediment. 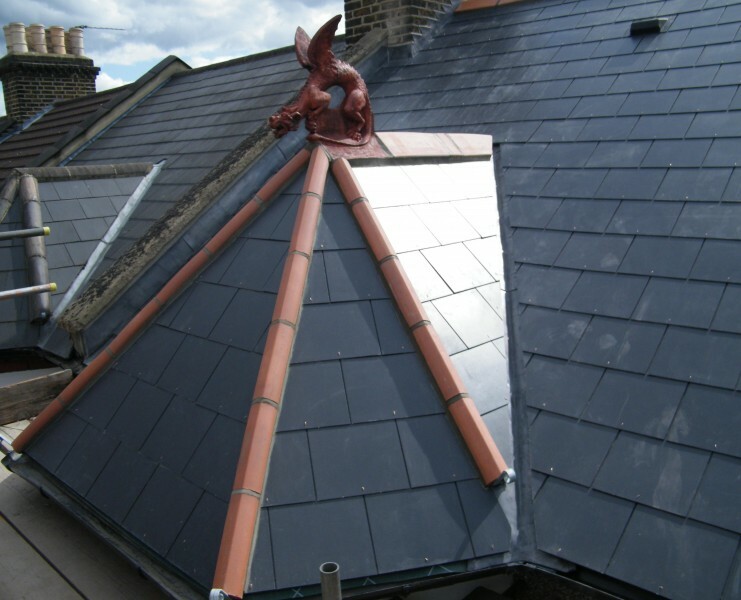 Our client wanted to finish the roof with a dragon finial. 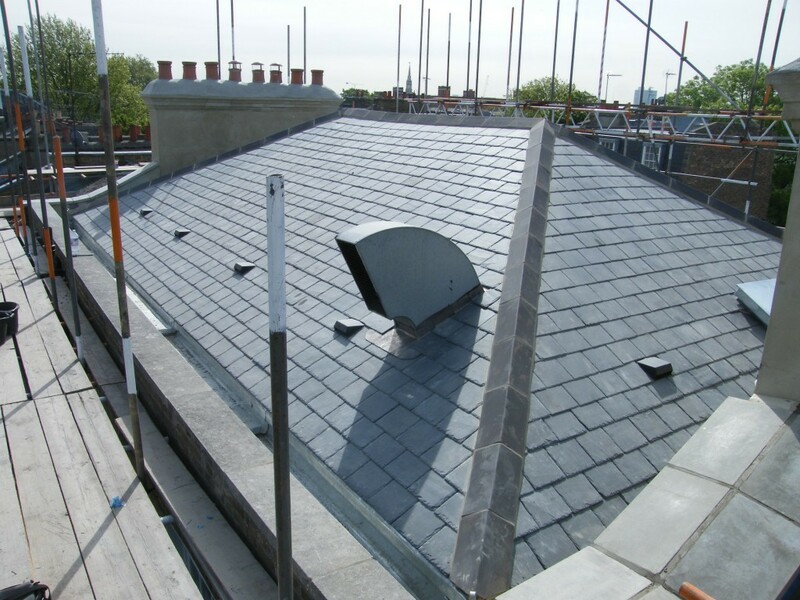 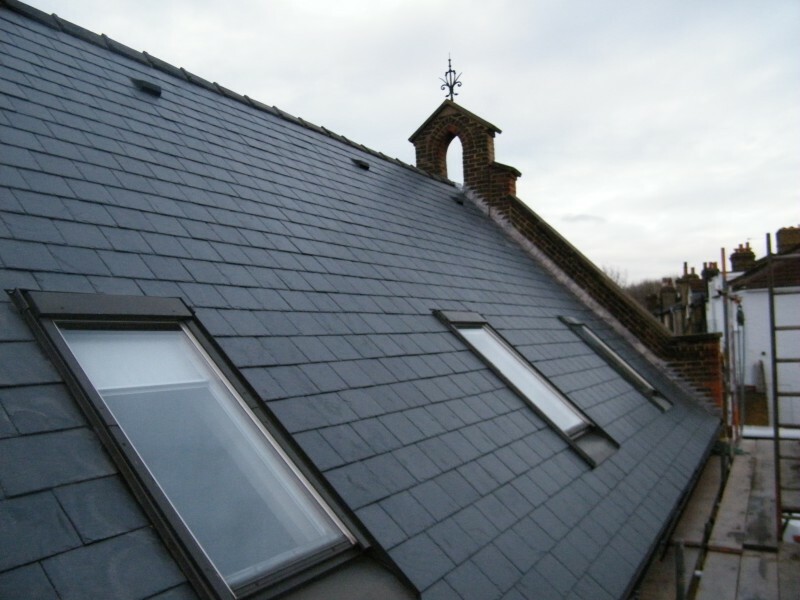 This property had the best quality natural Spanish slates fitted, along with grey clay angle ridge tiles. 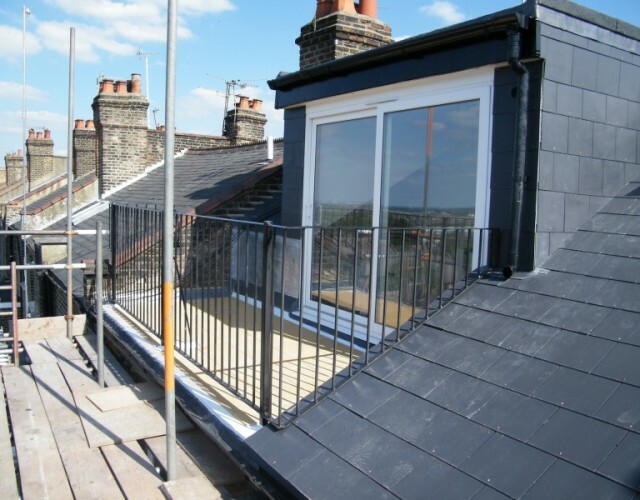 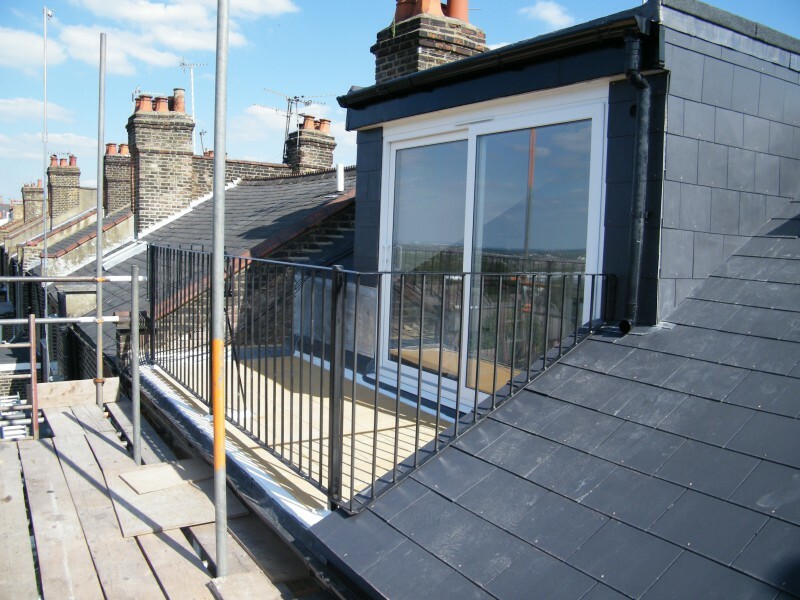 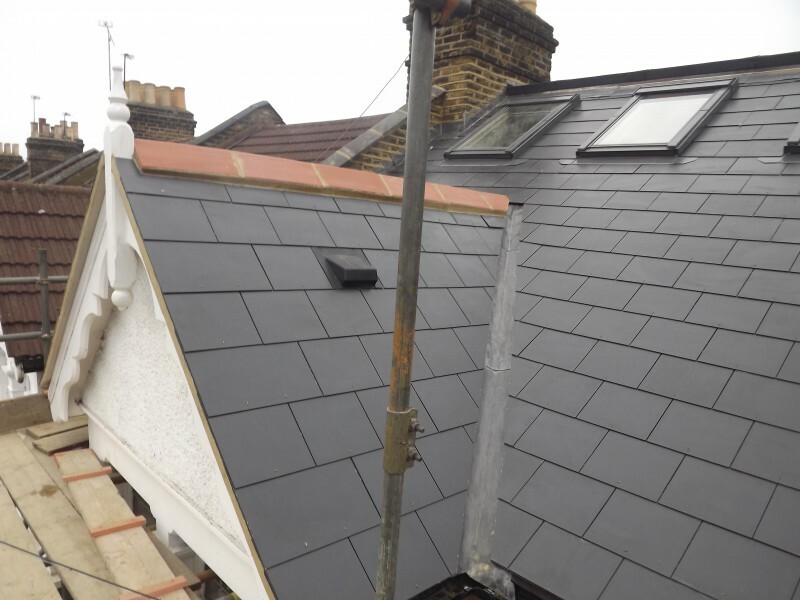 The parapet valley gutters were replaced in zinc. 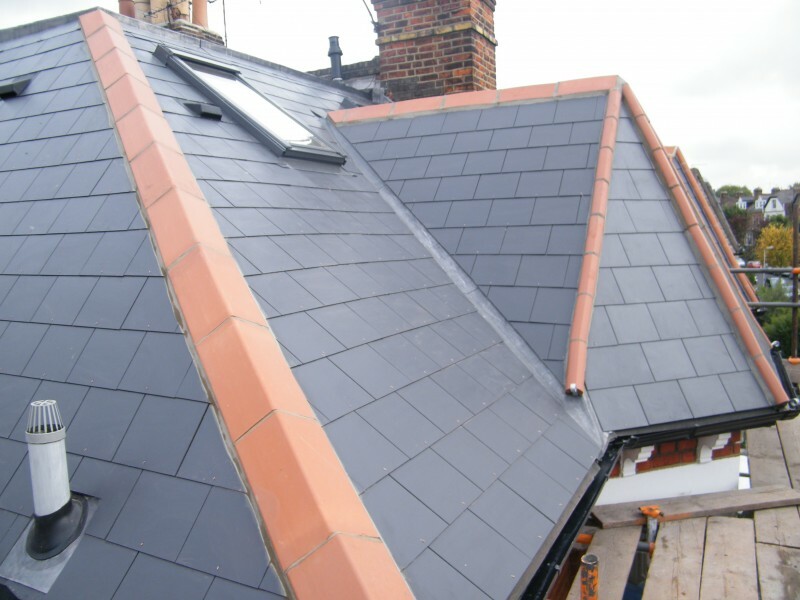 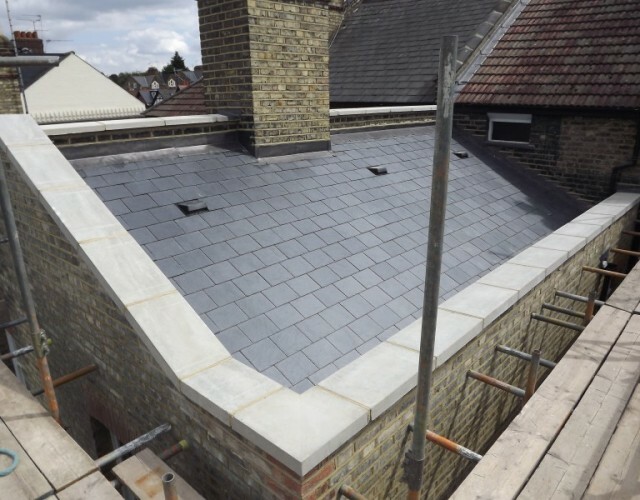 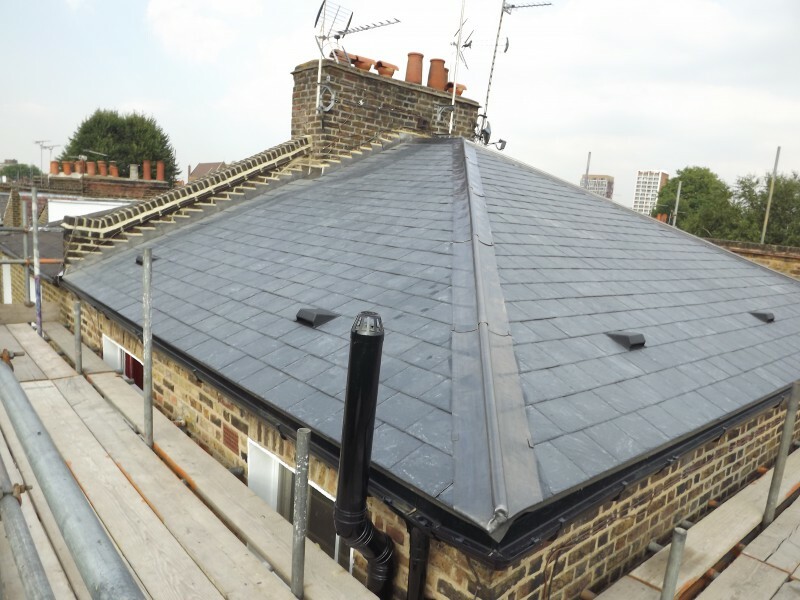 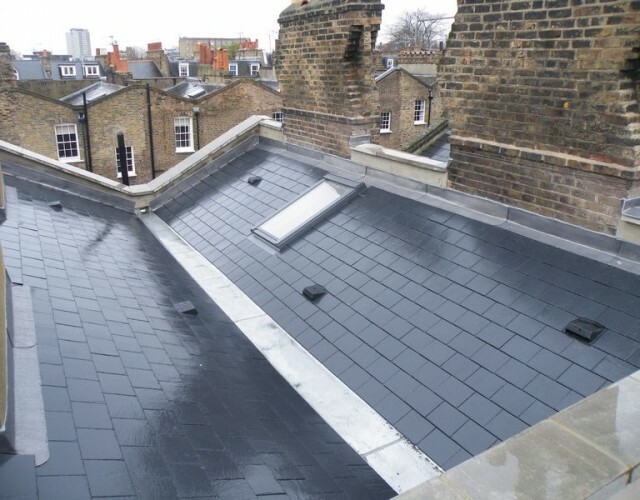 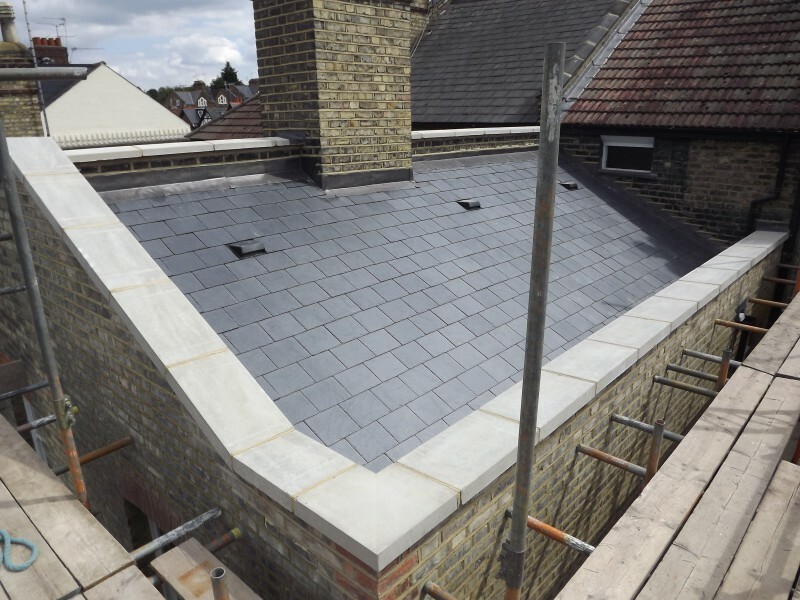 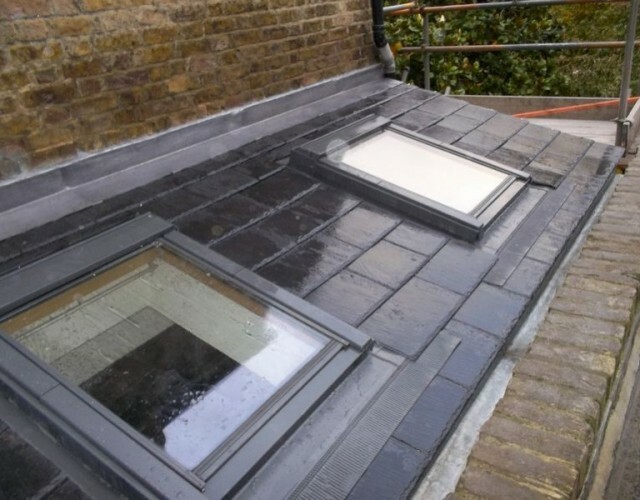 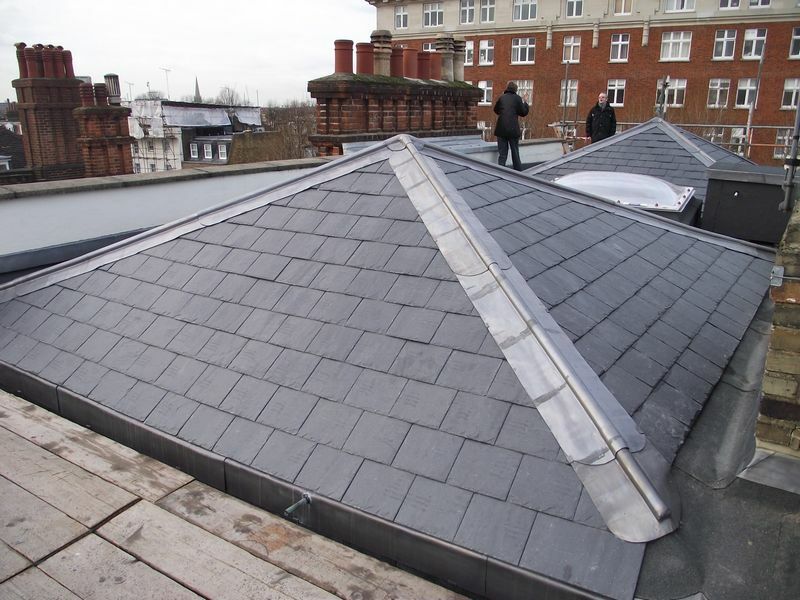 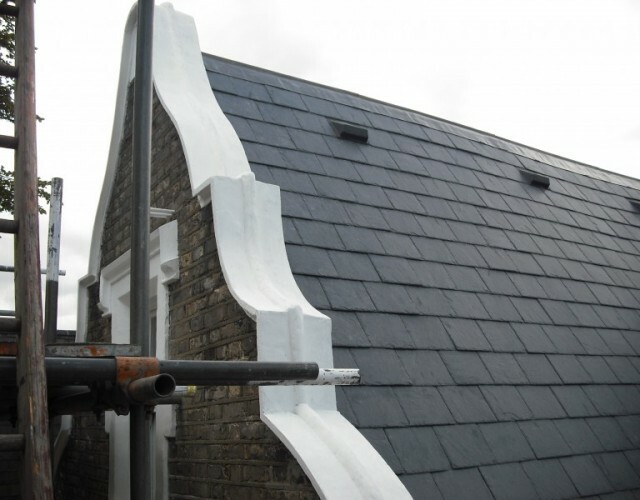 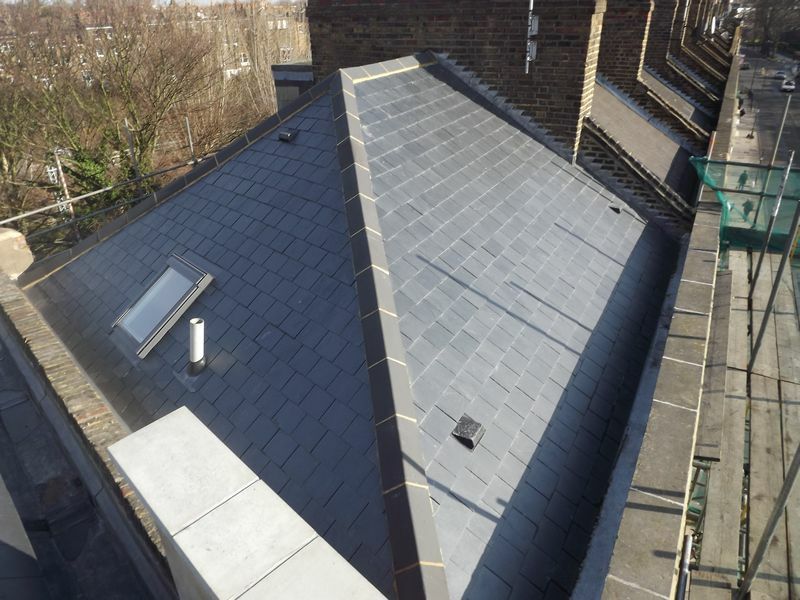 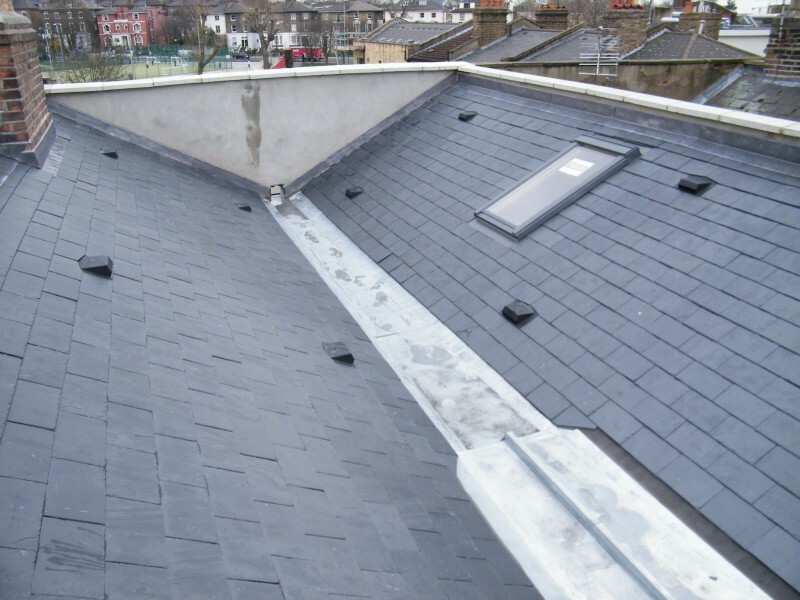 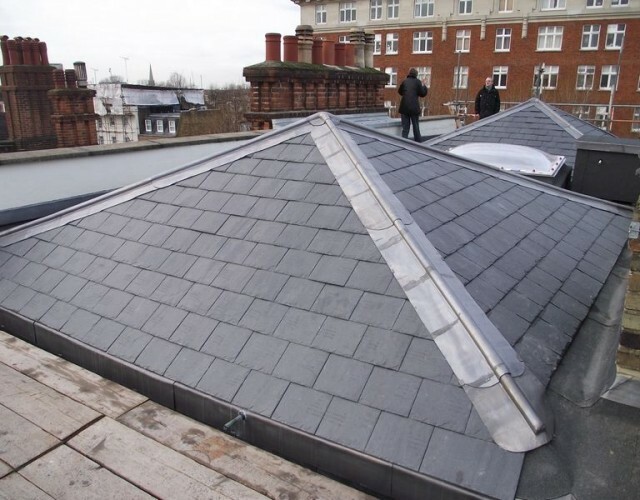 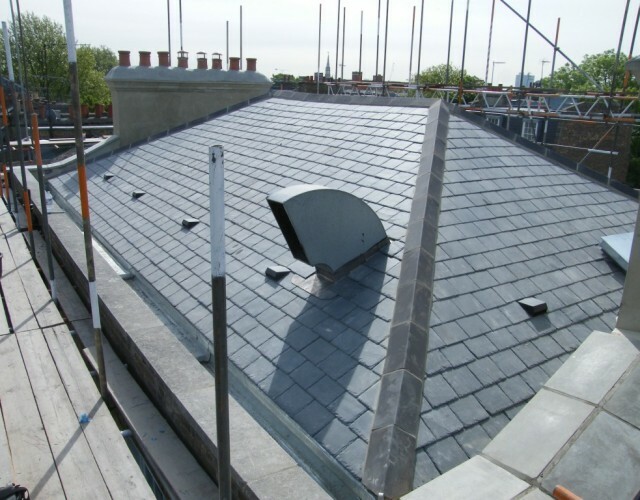 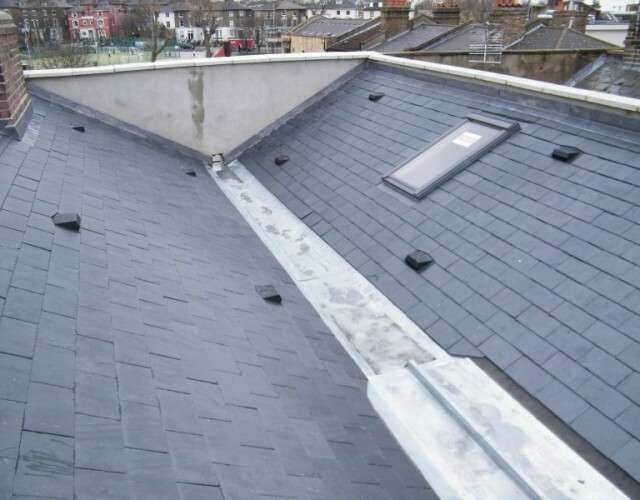 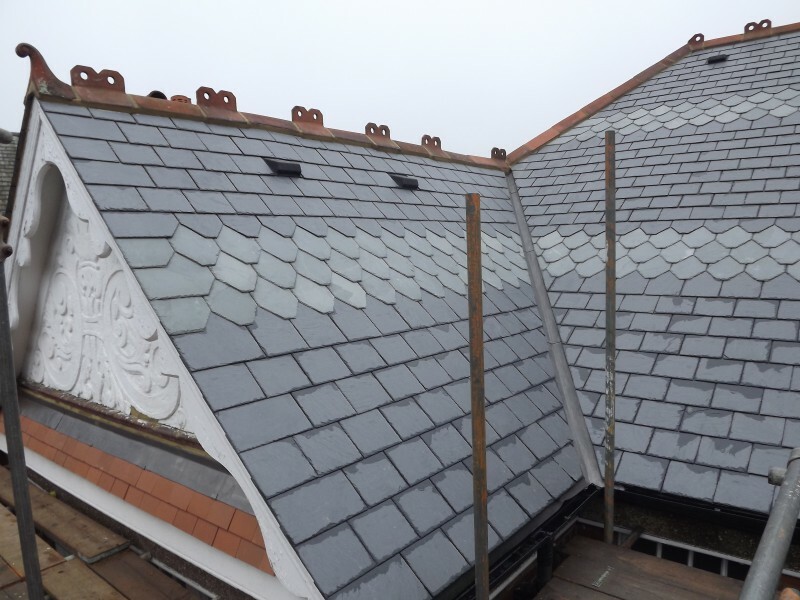 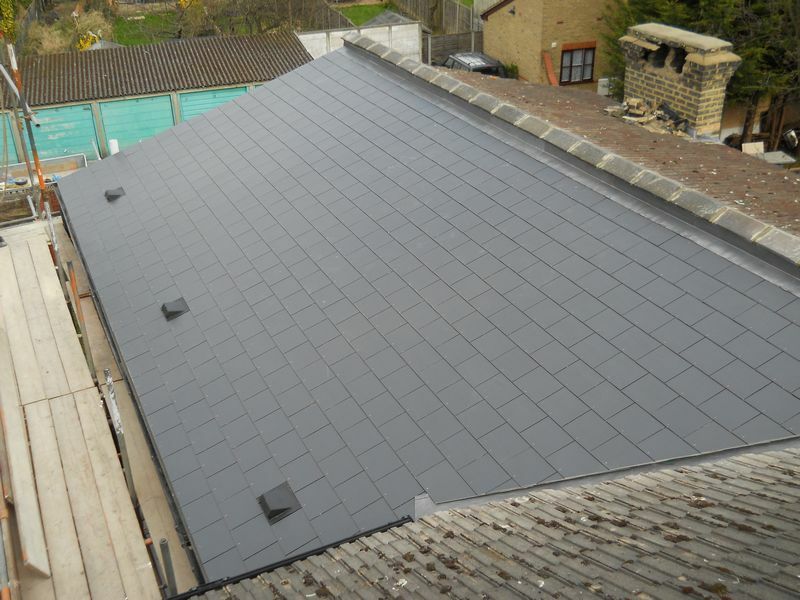 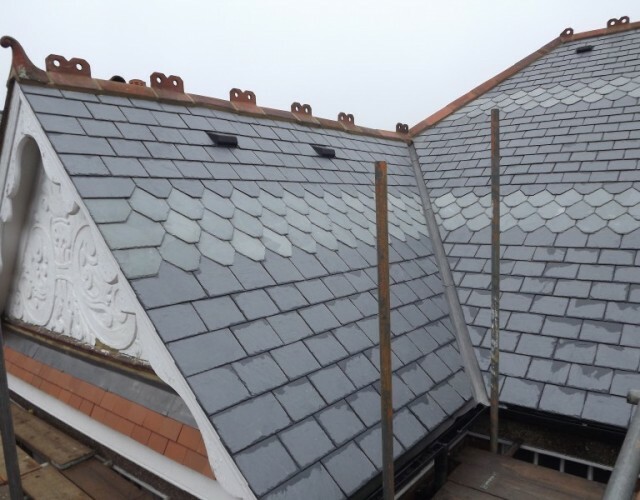 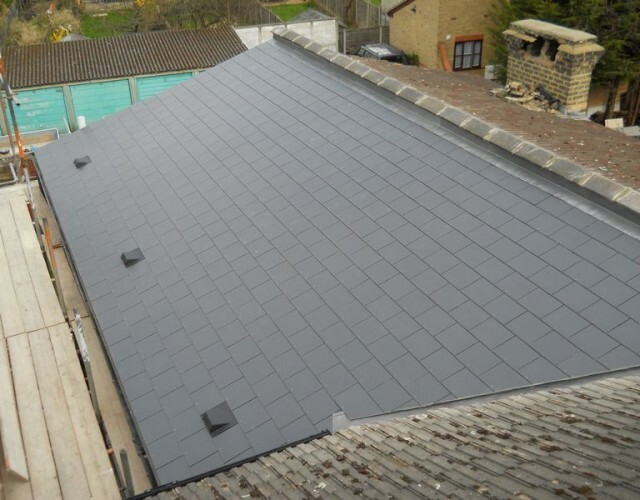 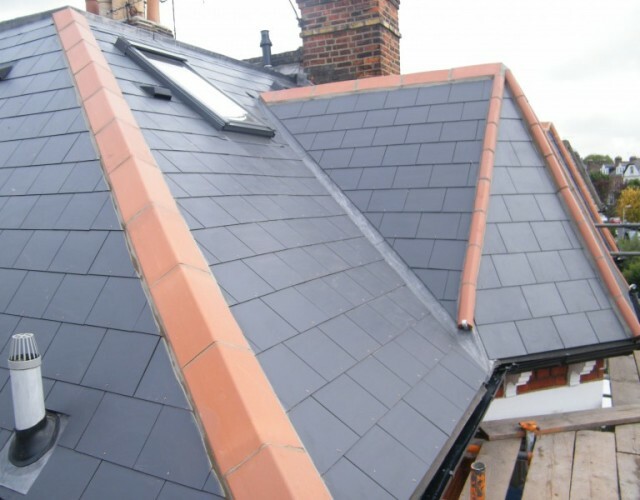 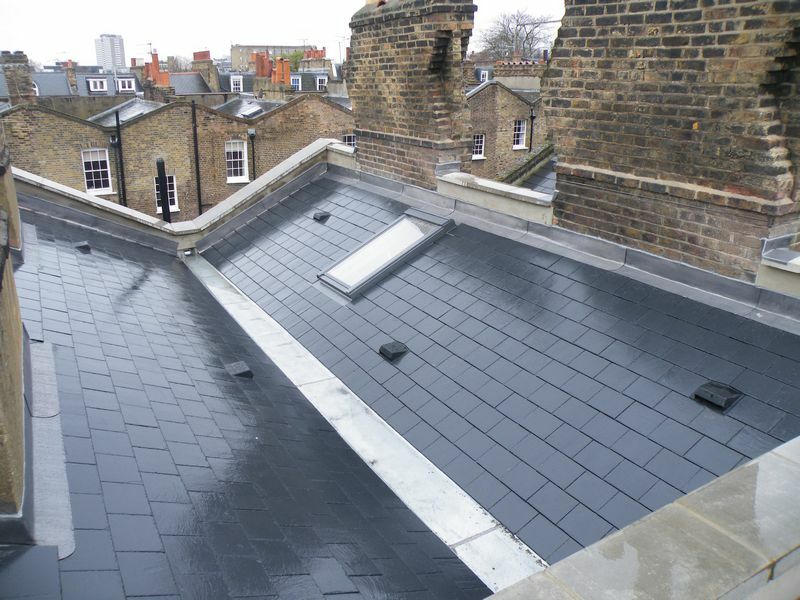 Natural Spanish slates were fitted to the roof slopes along with 3 new Velux windows.